WASHINGTON (JTA) — Days after a series of apologies for an old tweet seen as echoing antisemitic themes, Rep. Ilhan Omar, D-Minn., said the American Israel Public Affairs Committee paid politicians to be pro-Israel, a falsehood that drew immediate rebukes. On Sunday Omar responded on Twitter to a threat two days earlier by Rep. Kevin McCarthy, R-Calif., to take action against her because of her past statements on Israel. She tweeted in response, “It’s all about the Benjamins baby,” slang for money. AIPAC does not contribute to politicians, although its donors give money to political campaigns, in the same way that an array of activists backing distinct interests across the political spectrum have donated to campaigns for decades. Omar raised over $1 million last year for her initial congressional campaign, including from unions and Emily’s List, a group that seeks increased participation by women in politics. Omar’s remarks drew immediate rebukes, including from Chelsea Clinton, the daughter of former president Bill Clinton and 2016 Democratic nominee Hillary Clinton. 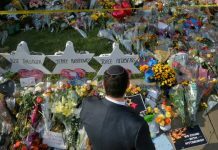 “We should expect all elected officials, regardless of party, and all public figures to not traffic in antisemitism,” Clinton said. 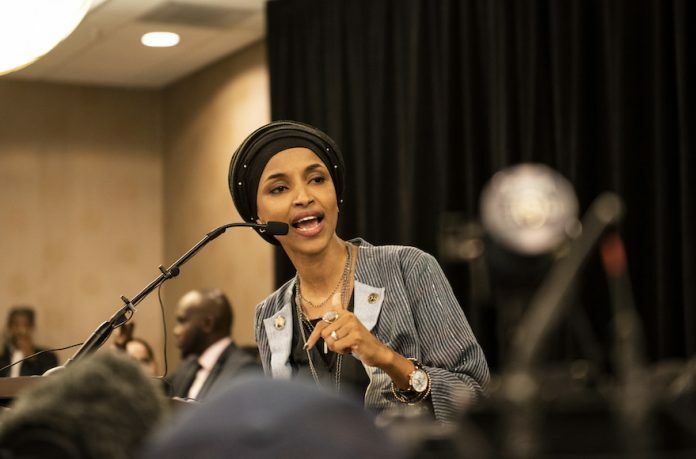 Omar recently apologized for a 2012 tweet in which she accused Israel of “hypnotizing” the world, acknowledging that she had unwittingly echoed antisemitic themes. McCarthy’s call to discipline Omar, apparently for the 7-year-old tweet, came after she apologized. Omar’s defenders said her tweet was about the undue influence of an undeniably effective lobby on U.S. Mideast policy, and not about Jewish influence per se. “Just as polls show Americans favor some gun control (background checks etc) & people point to interest groups like NRA for preventing change so [too] do polls show most Americans don’t want US taking a side between Israel/Palestine yet interest groups create ‘pro-Israel’ expectation,” tweeted Yousef Munayyer, executive director of the US Campaign to End the Israeli Occupation. McCarthy was criticized last year for a tweet, later deleted, suggesting that three Jewish billionaire Democratic donors were attempting to “buy” the 2018 midterm elections. “We cannot allow Soros, Steyer, and Bloomberg to BUY this election! Get out and vote Republican November 6th. #MAGA,” McCarthy wrote in the tweet. Hedge fund manager Tom Steyer and former New York Mayor Michael Bloomberg are among top donors to Democratic candidates. George Soros has become a favorite target for activists and politicians on the right for his deep spending on liberal and pro-democracy causes.